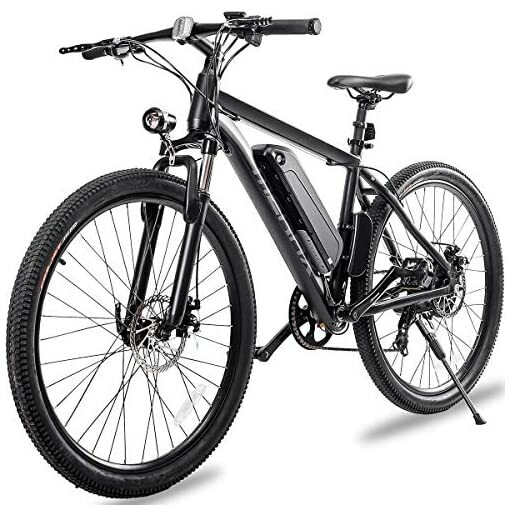  350W High Speed Motor and removable 36V 8.8Ah Lithium Ion Battery to get the bike up to speed 32km/h, delivering the best in class acceleration. Under ideal condition, rides up to 22 – 28 miles on a single charge. Equipped with a front headlamp for safe night riding. 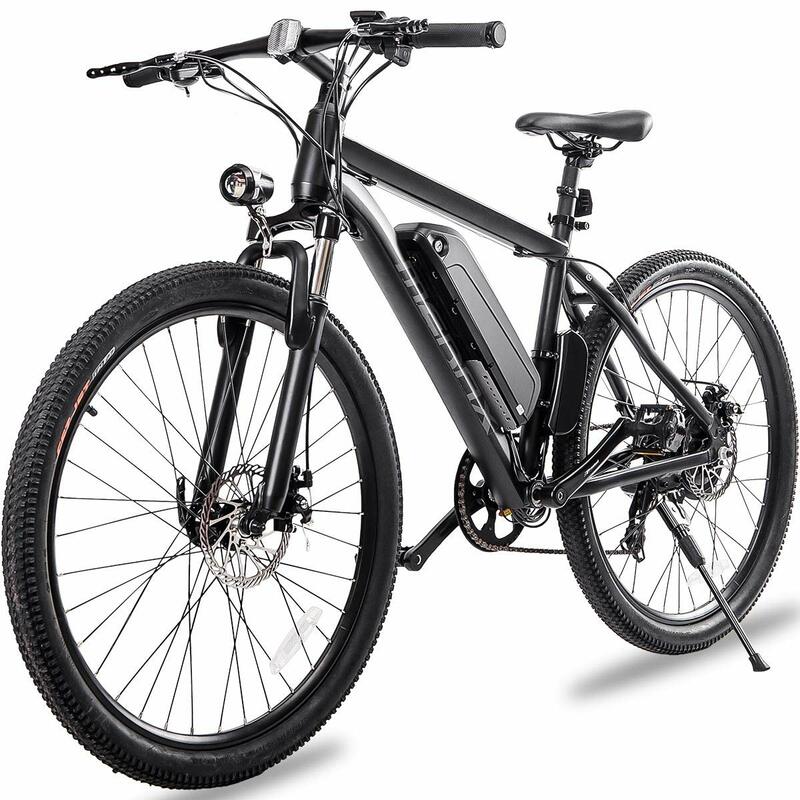  Two working modes available: E-Bike & PAS. Engage the thumb throttle and enjoy a free ride, let the motor propel you forward. Or change between 5 levels of pedal assist mode, offering a more customized riding experience. Smart digital panel allows for easy changing while riding. Assembly & Tuning are required. This bicycle arrives 85% assembled. You will need to install the pedals, front wheel, handle bar and fill the tires with air. The left and right side pedal threads are not the same and should be assembled on its corresponding side. L/R signs are marked on the spindle of the each pedal. Make sure they are assembled on the correct side (when you ride the bike, left pedal should be on your left hand side, right pedal on your right hand side). The right side pedal has a right-hand thread (installed clockwise, removed counterclockwise). The left side pedal has a left-hand thread (installed counterclockwise, removed clockwise). Thread both pedals into the crank arms as far as you can by hand, and then fully tighten them with the wrench. If the pedals are not fully tightened, they may become loose and damage the threads. We will not be responsible for such damages.